Abuse Treatment Centers: What Are They? Are you worried that you or a loved one have a substance abuse problem? Have drugs or alcohol taken control of your life? You may need the help of a substance abuse treatment center in order to free yourself or your loved one from substance abuse issues. Read on to find out more about abuse treatment centers. What are Substance Abuse Treatment Centers? Abuse treatment centers are facilities designed to provide treatment to patients dealing with drug or alcohol abuse. Many different centers are available, to help people of all ages and backgrounds get the help they need. What Types of Substance Abuse Treatment Centers Exist? There are two main types of substance abuse treatment centers: residential and outpatient. Residential treatment. Residential treatment is a very intense, structured form of treatment that usually lasts between a week and a month, and occasionally longer. Patients live at the abuse treatment center and receive therapeutic services throughout the day. Outpatient treatment. These programs at substance abuse treatment centers allow the patient to live at home and sometimes continue working. Patients attend a treatment program several times a week. Outpatient therapy can vary in intensity, with some programs meeting four to six hours a day, while others meet only for a few hours per week. Outpatient programs generally last two months or more. You have many options, so be sure you choose the substance abuse treatment center program that really fits your needs and will be most beneficial. What is Involved in Substance Abuse Treatment? Detoxification. Detoxification is the first step toward sobriety and treatment. During detoxification, patients withdraw from drugs and/or alcohol. This can be a very rough time, as many drug and alcohol users experience withdrawal symptoms like depression, nausea, chills, or hallucinations. Talk therapy is key to recovery from drug abuse. Talk therapy. Whether in a group or individual setting, therapy is the cornerstone of substance abuse treatment centers. Patients talk through their addiction, their issues, and their plans for recovery, while receiving feedback from counselors or fellow patients. Medication. Not all abuse treatment centers offer medication, but some do. For opiate addicts, synthetic opiates like methadone and subutex can be helpful for easing withdrawal and cravings. Alcoholics may take naltrexone, which helps control the urge to drink excessively, or antabuse, which produces a severe, unpleasant reaction to alcohol. These methods are common to both residential and outpatient abuse treatment centers, but they may be applied differently. While residential treatment patients receive therapy and treatment every day in a very structured environment, outpatient patients may attend therapy only a few times a week. 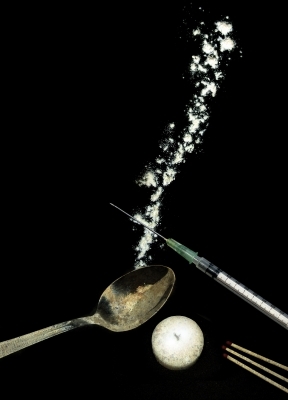 Why are Substance Abuse Treatment Centers so Important for Recovering from Addiction? To recover from an addiction, people dealing with substance abuse often need the support of professionals at substance abuse treatment centers who can help them understand their addiction and plan for their life without drugs or alcohol. This support and structure also helps patients avoid relapse, which is sadly common among recovering addicts. Recovering from drug or alcohol addiction is not easy, and it requires the support of professionals in substance abuse treatment centers. Look around our site for more information about how you or a loved one can get started on the path to sobriety.